Time for a new bulletin board already! 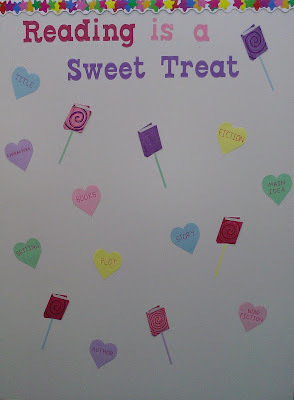 This month I kept it pretty simple and, yes--sweet. 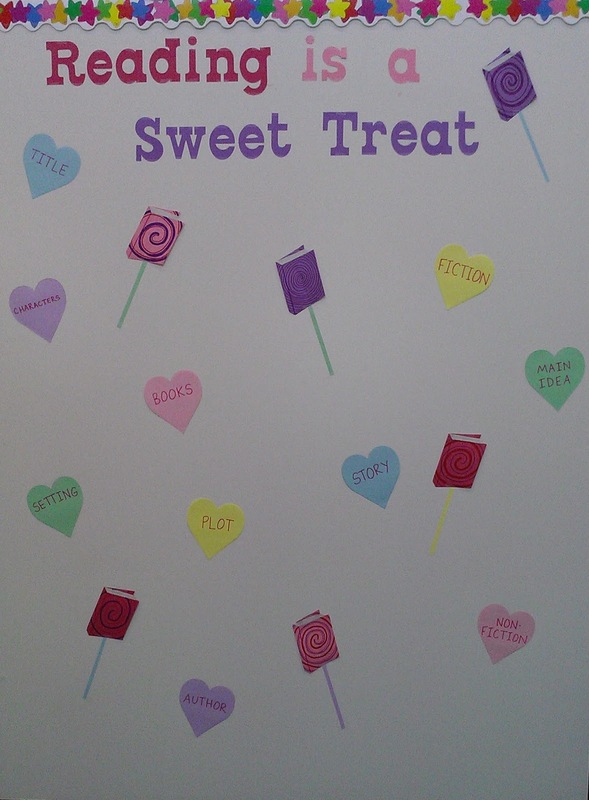 There are book "lollipops" and conversation hearts with reading terms like "title" and "setting".